At the heart of downtown York, a creative core of achievers and visionaries thrives. 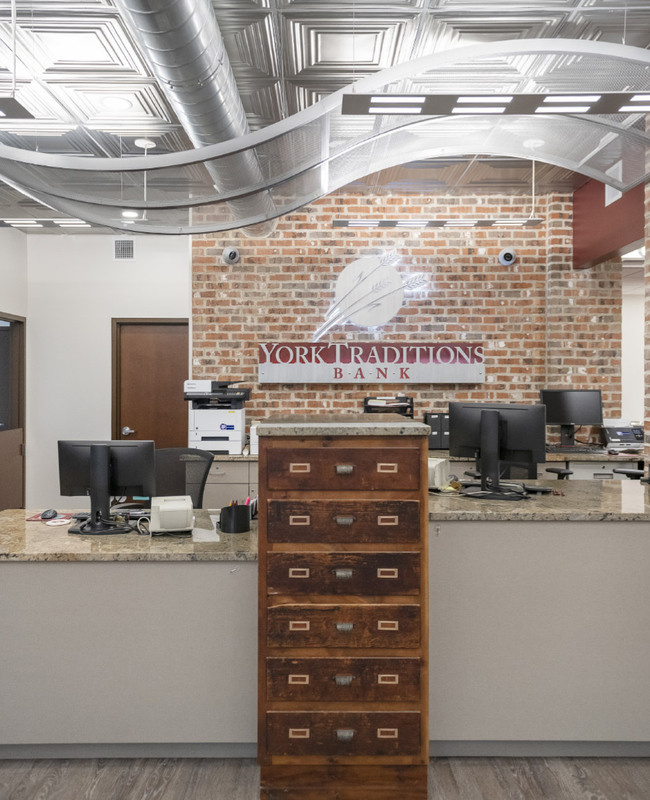 At the heart of community banking, York Traditions Bank crafts relationships to help York City and York County succeed. York Traditions Bank’s new downtown York branch, at the corner of North George and West Philadelphia streets, occupies the first floor of the historic structure known as the Haines Hotel. The hotel was built by York businessman and philanthropist Mahlon Haines “The Shoe Wizard” in 1925. Besides creating a successful shoe business, Haines was known for building relationships within the York community he loved. York Traditions Bank honors that value of relationship building with its York City location. Customers find a welcoming atmosphere with touches of historic charm inside the 2,000-square-foot space. 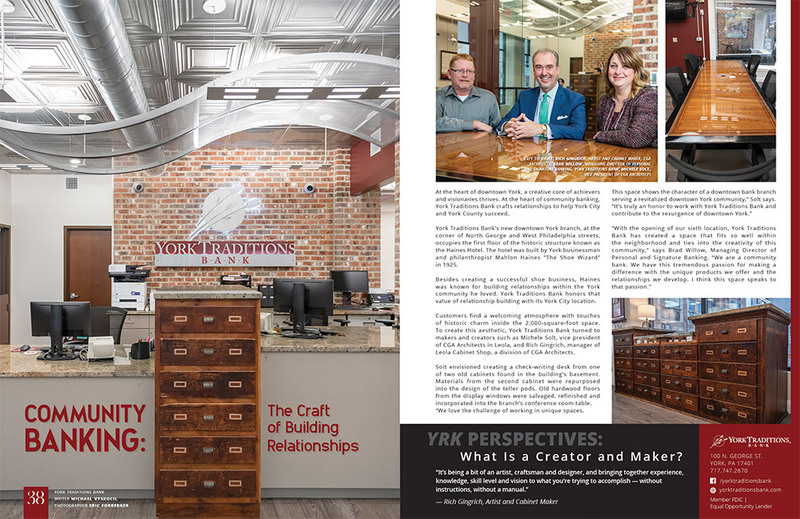 To create this aesthetic, York Traditions Bank turned to makers and creators such as Michele Solt, vice president of CGA Architects in Leola, and Rich Gingrich, manager of Leola Cabinet Shop, a division of CGA Architects. Solt envisioned creating a check-writing desk from one of two old cabinets found in the building’s basement. Materials from the second cabinet were repurposed into the design of the teller pods. 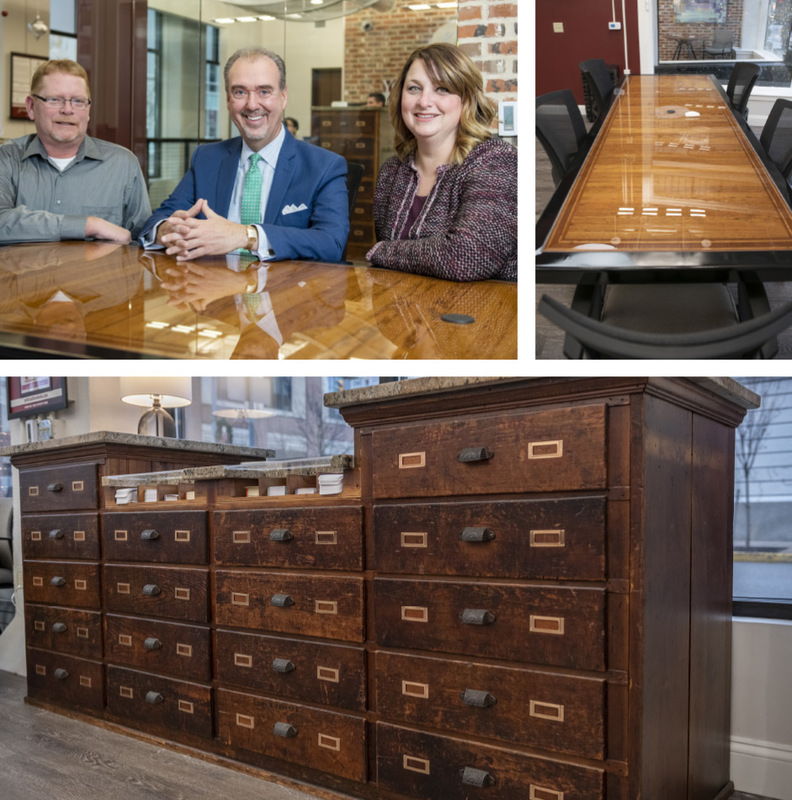 Old hardwood floors from the display windows were salvaged, refinished and incorporated into the branch’s conference room table. “We love the challenge of working in unique spaces.